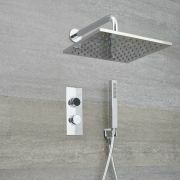 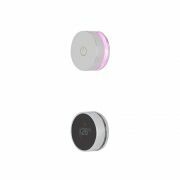 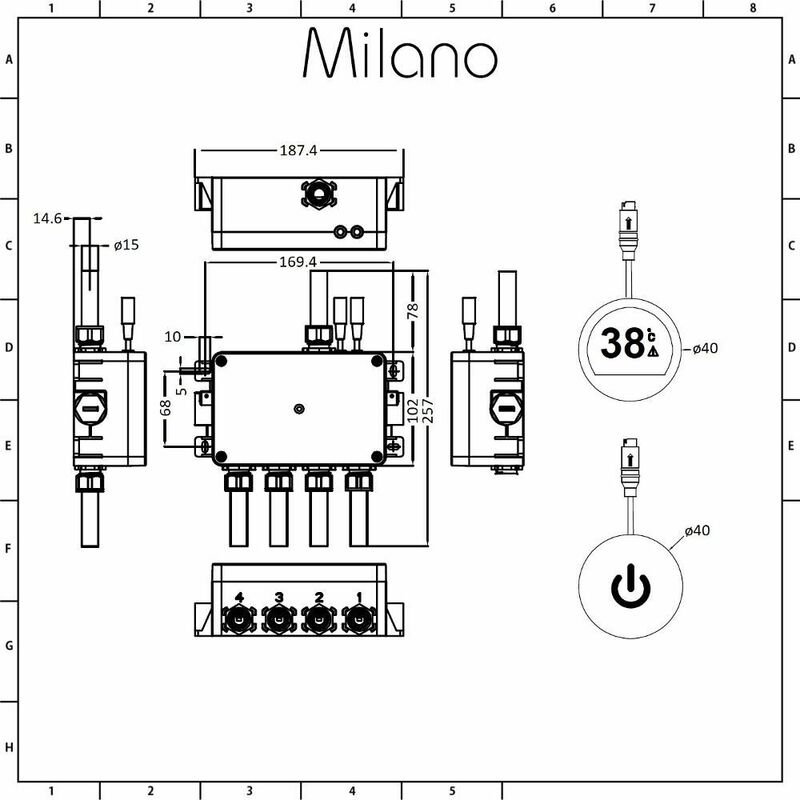 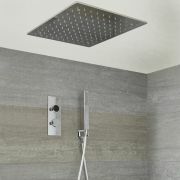 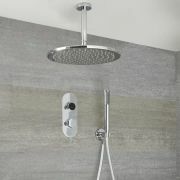 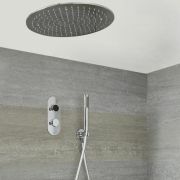 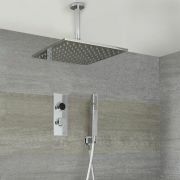 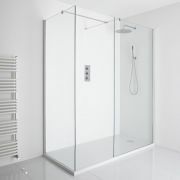 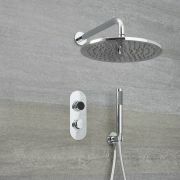 Control your shower with ease with the Milano Vis two outlet digital shower system. 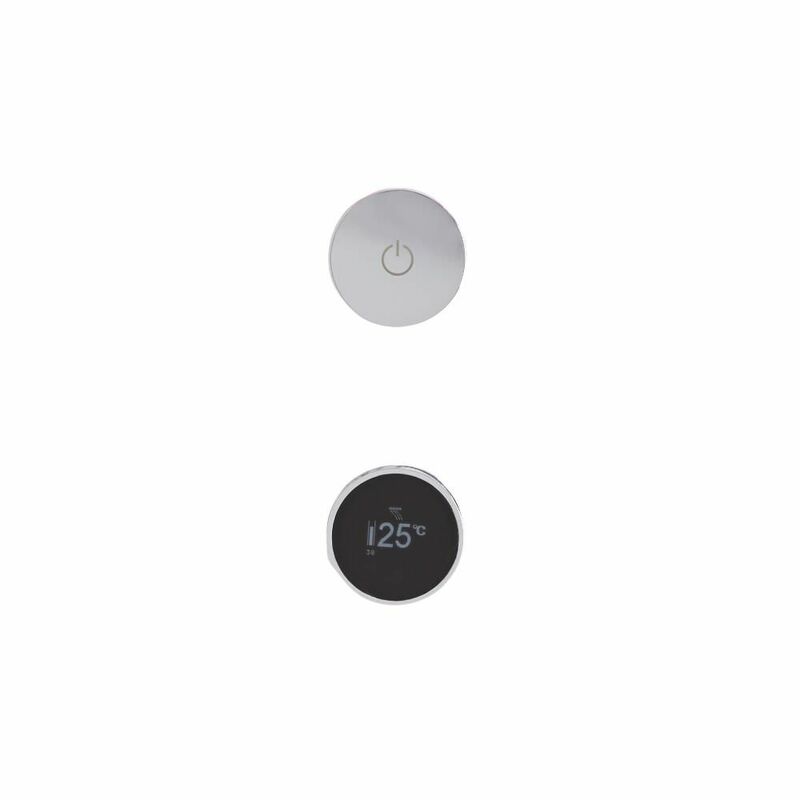 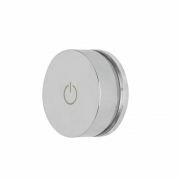 A great option for bringing designer style and the latest technology to your bathroom, the thermostatic digital shower control supplies water to two outlets such as a shower head and body jets. 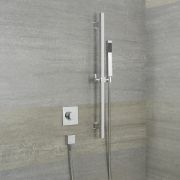 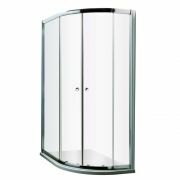 Featuring a chrome finish and a minimalist design, the thermostatic digital shower system controls the temperature and diverts the water flow between the functions. The control has a colour changing indicator for the temperature.